At the recent auction in Hong Kong of Sotheby's Modern and Contemporary Southeast Asian Paintings, Ronald Ventura broke the record of another Filipino artist. 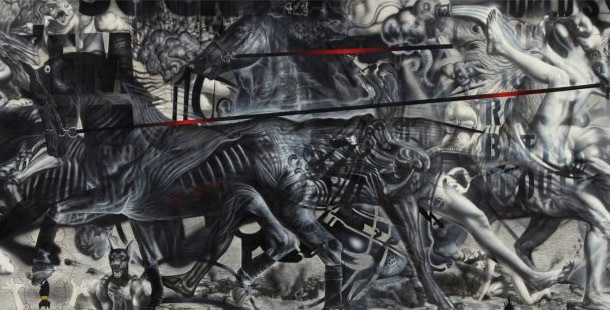 The "Grayground" painting by Ventura was sold at HK$ 8,420,000. 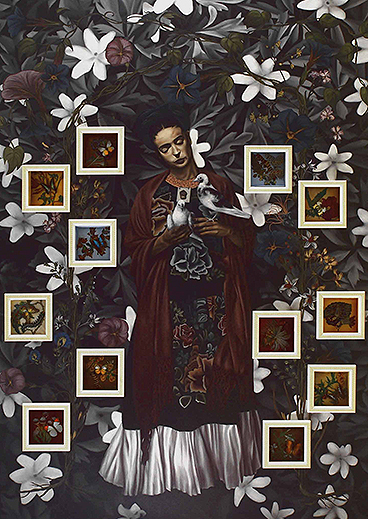 The graphite, oil, and acrylic on canvas piece, which measures 60 inches by 155 3/4 inches (nearly four meters long), set a new auction record and beat Filipina artist Geraldine Javier’s oil-on-canvas Ella Amo’ Apasionadamente y Fue Correspondida (For She Loved Fiercely, And She is Well Loved), which raked in HK$1,460,000 in an auction last year. It is nice to see a very good indicator of how talented Filipino Artists are, and how are we doing in the global art scene, especially in modern and contemporary art.